As motorhomes are luxury items, the vast majority seem to have been built to order and as such are more often than not tailored in some way to what the original buyer wanted. In addition, used motorhomes may have been used very differently (touring, couples, family holidays etc.) and may have also been modified by successive owners over the years. As a result, with so many vehicle parameters (engine size, mileage, age, service history etc.) alongside so many habitation parameters (berths, layout, extras, condition etc.) and different sellers putting different weightings on all of these, we initially found that getting an objective sense of what was a 'fair' market value on a particular used motorhome to be very hard. Our search for our first used motorhome started primarily online rather than visiting regional dealerships or looking in motorhome magazines for two reasons. Firstly, most dealerships now also advertise their stock online, not just on their own website but on classified sites like eBay and AutoTrader. Secondly, this gave us access to thousands of advertisements for used motorhomes around the country (and in some cases internationally) allowing us to get a better assessment of the market as a whole. (Although good deals are available,we decided not to buy our first motorhome from overseas for various reasons). However, unlike the used car market where at any one time there might be dozens of the same model car available (even within a particular region), many with similar age/mileage/condition, rarely did two used motorhomes ever seem to be similar enough for us to make a fair side by side comparison. Unlike for cars, where there are so many pricing guides including online free ones, for motorhomes we couldn't find anything like that. Plus, in addition to all of the vehicle related parameters, there was the habitation to consider as well, with varying size, layouts, fixtures, fittings and extras (such as solar panels and awnings) and different sellers seemed to place very different weightings on all of these parameters. So when we first started looking for our first used motorhome there just didn't seem to be enough consistency in pricing for us to work out easily which motorhomes were 'good deals' compared to a fair market price and which were not. It was very frustrating and confusing trying to work out what the market price of a particular used motorhome was. Surprisingly to us we did later see, at one of the dealerships we visited for a viewing, that there is a trade pricing guide for used motorhomes based on model, age, mileage and condition which the dealers used to set their own selling prices and offer part exchange values but this seemed to ignore many other factors of interest to buyers. In reality dealer prices seemed to be just as inconsistent as private prices to us. However, after accepting fairly early on that there didn't seem to be a simple formula for valuing a used motorhome, we did find that over time and the more we searched, the more we started to develop a more intuitive sense of what the price range for different motorhomes and their particular features should be. In our efforts to understand motorhome pricing, we tried starting with very broad ranges for different parameters, looking at motorhomes from 2 - 25 years old, from £2000 - £20,000 and from 8,000 to 80,000 miles. It took us a lot of research and extensive web searching, balancing a combination of price / mileage / age / manufacturers / interior / features to get any sort of sense of a market price at all, backed up by hours spent modifying classified listing search parameters and speaking to dealers or private sellers. It was hard work. But in the end we found it very beneficial to initially expand our search and look at a much broader market to get a sense of fair/good deals rather than starting out by narrowing our search based on hypothetical likes and dislikes (as some buying guides suggested). This process of widening our search and looking at so many motorhome options in classified ads also had the additional benefit, we feel, of allowing us to make better decisions later on about what specifications might suit us in the end, plus it also allowed us to consider options we might not have originally thought of and searched for. Over time, as we started to identify certain motorhomes which did seem good value for the money, we were then able to make pragmatic comparisons among those particular ones. Ultimately, the biggest test of whether a motorhome was well priced, we found, was how long a motorhome stayed on the market. As time went by we found ourselves increasingly phoning sellers to be told the motorhome we were calling about had already gone, sometimes on the same day as the ad' appeared indicating that other people were also seeking out and considering these particular motorhomes as the best deals. (eBay also allows you to see the final selling price of auction listings). After initially researching quite a broad market, we came to realise that classified prices are actually a very poor representation of fair market price and not what we should be basing our comparisons on at all. A market price is the price someone was actually willing to pay for a motorhome not what the seller was asking. Therefore we found it far more informative to compare asking prices of new listings with those motorhomes we knew had sold most quickly in previous weeks. If we phoned up and found out a motorhome had already been sold, we keep the details on file for comparison later on. 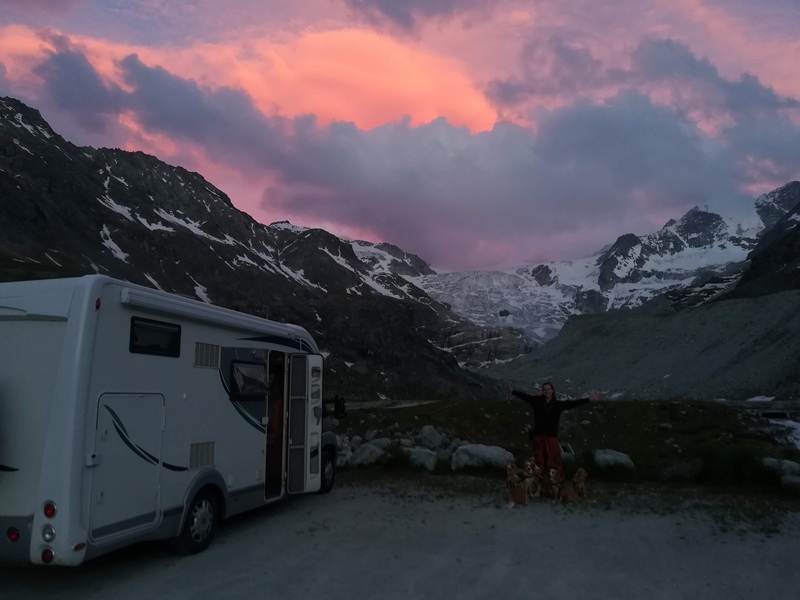 By following this process and keeping good records on motorhomes that we had liked and which had sold quickly we gradually become more and more confident in our intuitive sense of what a used motorhome was really worth, putting us in a much stronger position to negotiate later on and be confident that the motorhome we eventually bought was a good deal for us. Does the 'perfect' motorhome for us even exist? Was our pre-purchase habitation check worth it? Was our pre-purchase RAC inspection worth it?